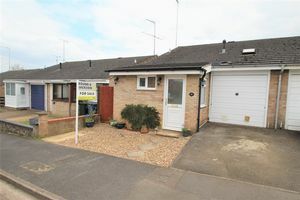 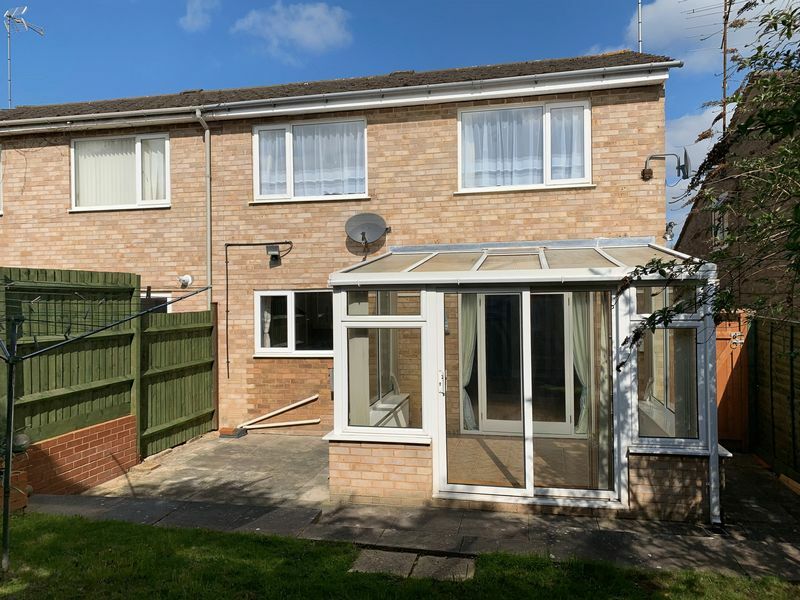 A very well presented and extremely spacious three bedroom, semi detached family home with garage and parking and situated on the south side of town, close to the town centre, train station and hospital and tucked away in a quiet cul-de-sac location. A brick built porch with window to the side aspect, door leading into the shower room and inner hallway and tiled flooring. Fitted with a modern white suite comprising corner shower ( with Gainsborough electric shower ) toilet and wash basin. 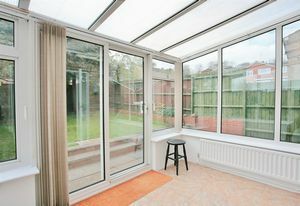 Window to the front aspect and tiled flooring throughout. 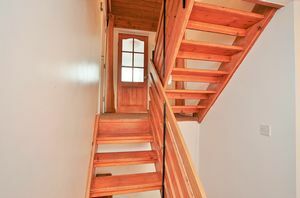 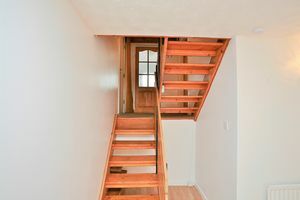 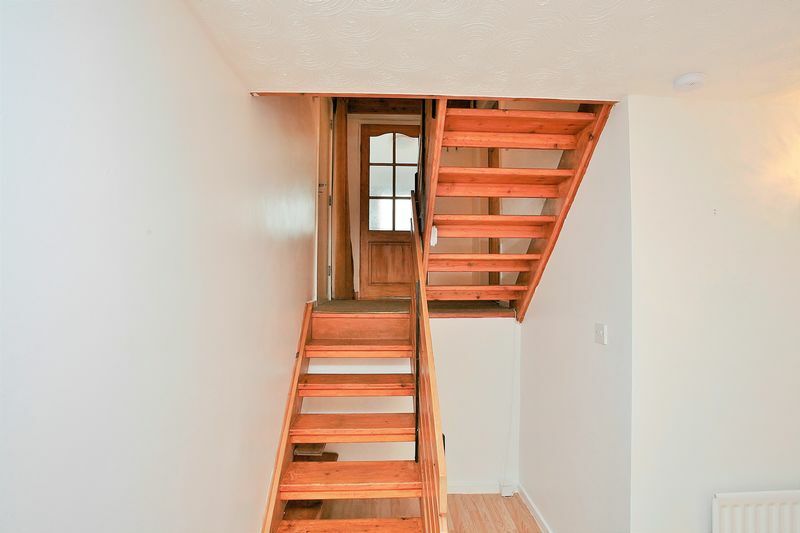 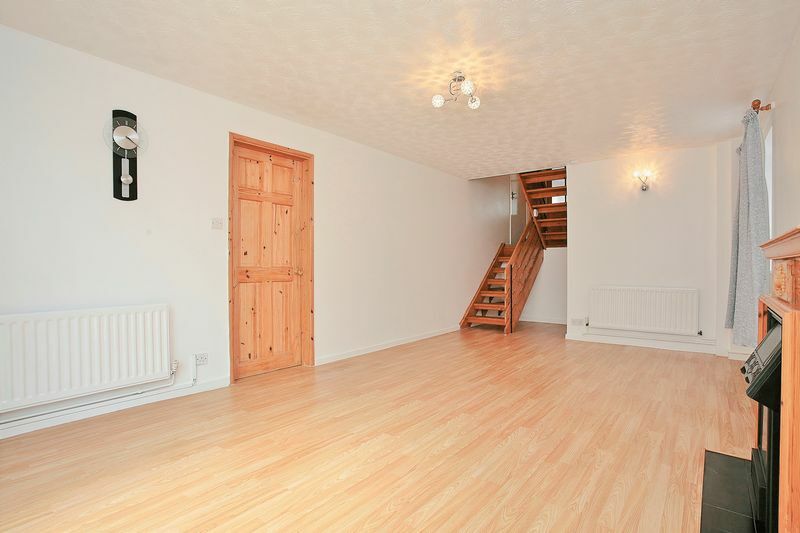 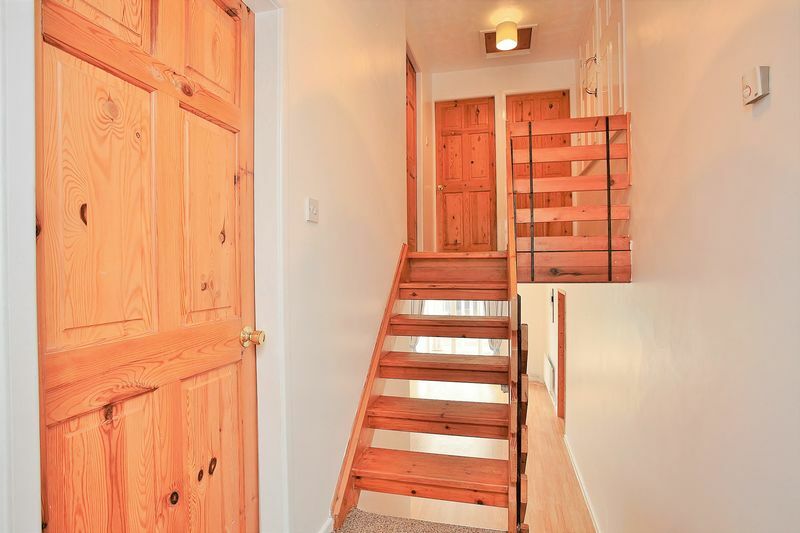 Stairs down to the ground floor and stairs up to the second floor accommodation and door leading into bedroom three. 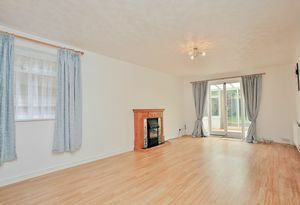 A very large sitting/dining room with French doors leading into the conservatory and door leading into the kitchen. 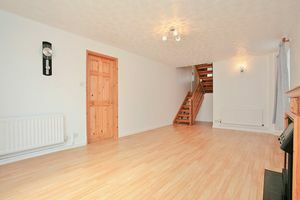 Electric fire with wooden surround, laminate flooring and storage area beneath the stairs. 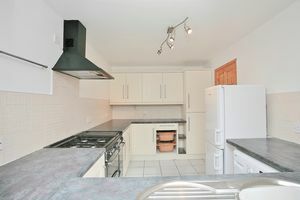 A range of eye and base level white fronted, Shaker style units with worktops over, attractive modern tiling to the splash backs, Envoy gas fired range cooker with four ring hob and hot plate with extractor fan above. 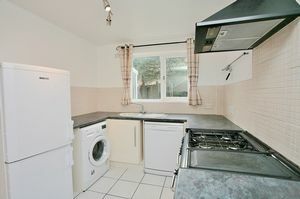 Space and plumbing for a washing machine and dishwasher, space for a fridge freezer, stainless steel sink with drainer and window overlooking the rear garden. 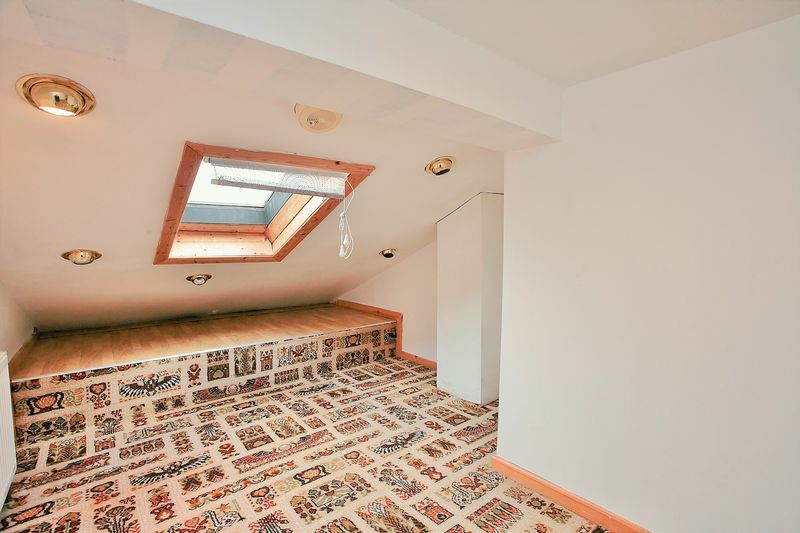 Tiled flooring throughout. 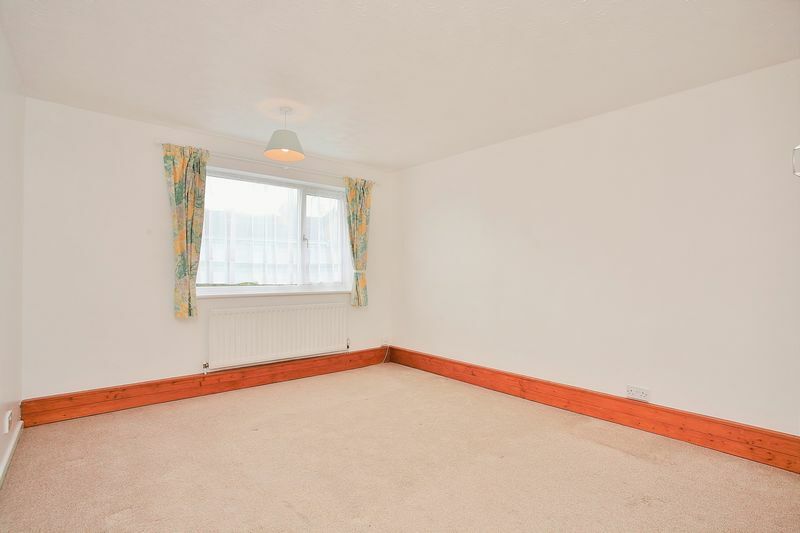 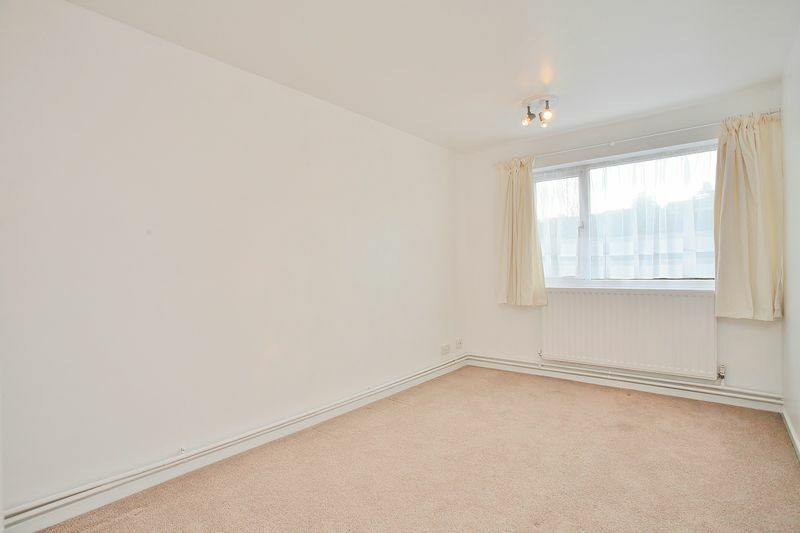 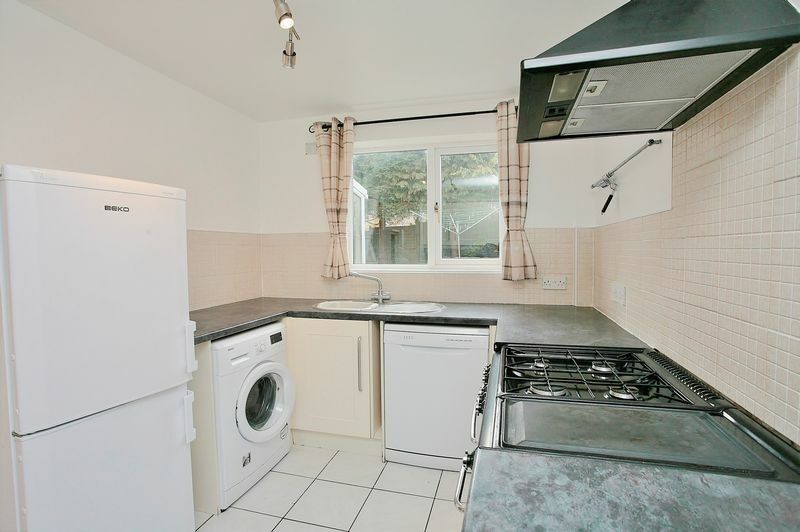 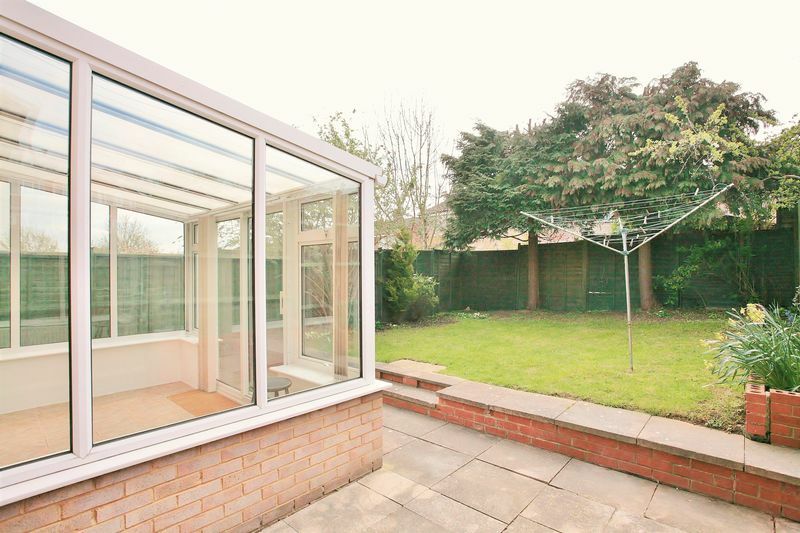 Useful addition to the property with tiled flooring, radiator and sliding door leading into the garden. 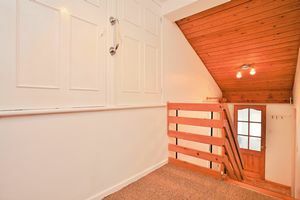 Doors to bedroom one and two and also the family bathroom, loft access, built in storage cupboard and access into a large carpeted storage area above the garage with velux style window and radiator. 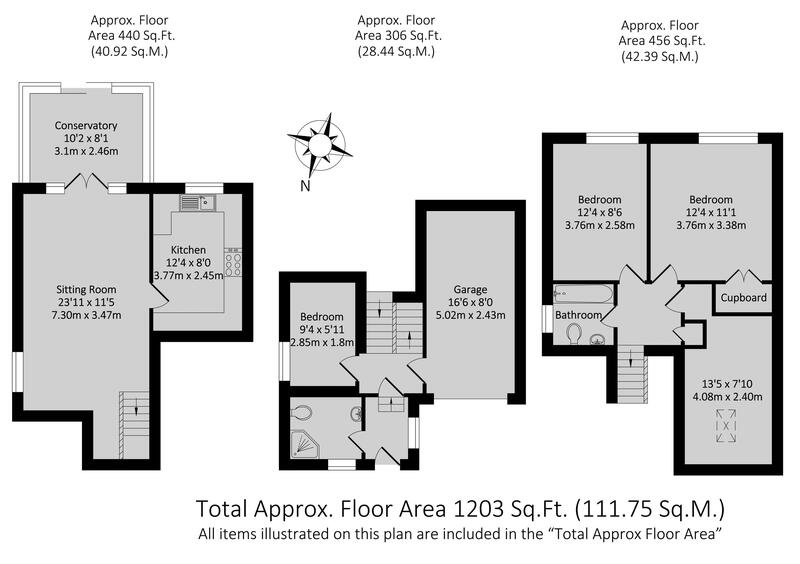 A large master bedroom with built in storage cupboard and window to the rear aspect. 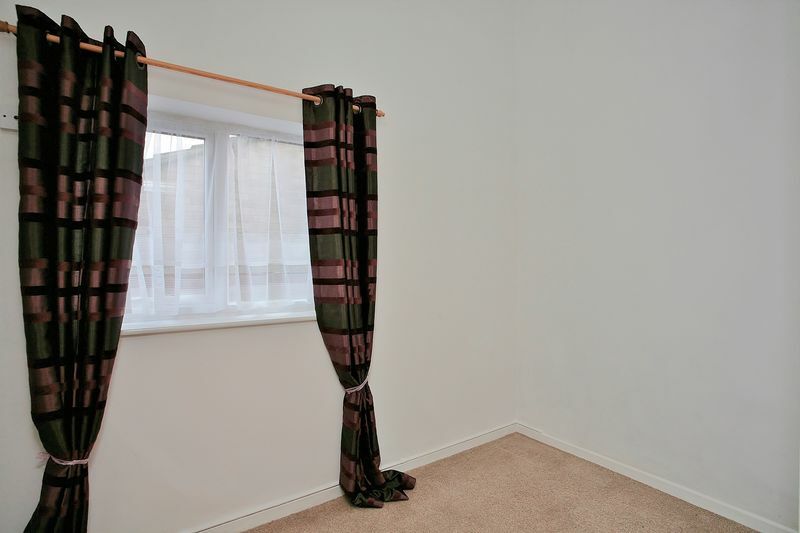 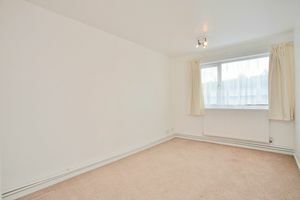 A double room with window to the rear aspect. 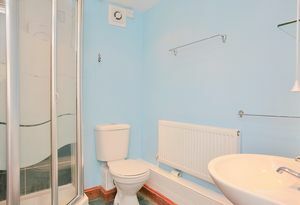 Fitted with a white suite comprising panelled bath with Triton electric shower over, toilet and wash basin. 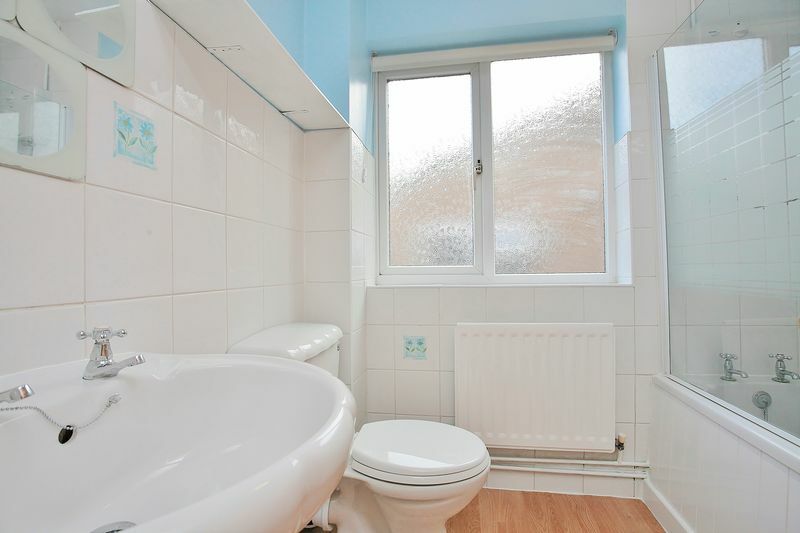 Tiled walls, wood effect flooring and obscured window to the side aspect. Located on the middle floor, a single room with window to the side aspect. 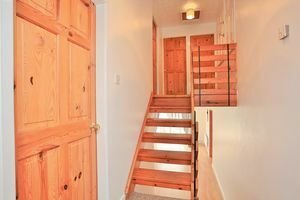 Up and over door leading to the driveway, power and lighting, wall mounted radiator and door leading into the hallway. Wall mounted Glow Worm combination gas fired boiler. Outside to the rear there is a slabbed patio area with dwarf wall leading to a lawned garden with planted borders and established trees and bushes. There is a gated access to the side and to the front of the property there is a pebbled low maintenance garden and tarmac driveway providing parking for one vehicle.